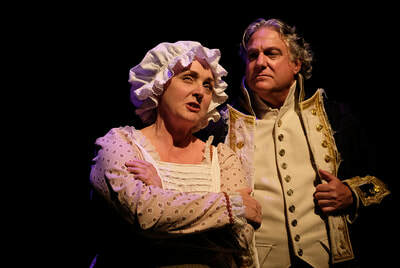 Here are a few production stills from Lamb's Players Theatre's gorgeous presentation of PERSUASION. Chris and Harold will be attending the opening night show on October 12. 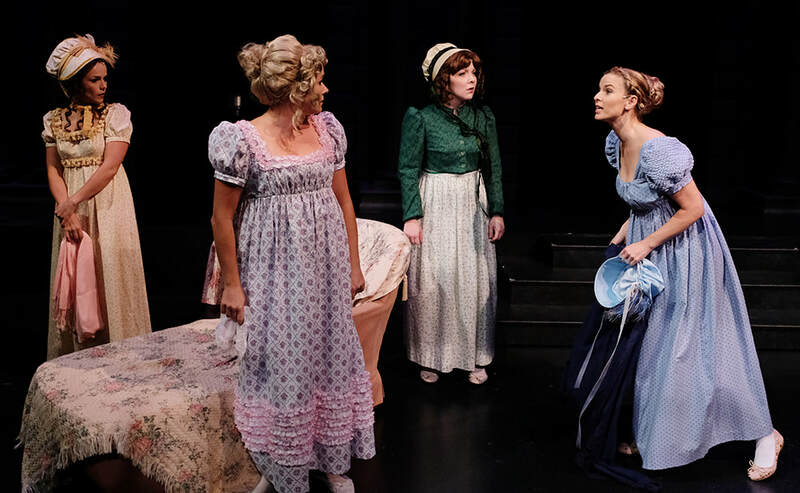 They'll also be joining Director Robert Smyth at an October 14, 6pm, "Dessert and Dialogue" to chat about bringing Jane Austen's final novel to the musical stage. Chris and Harold can't wait to see the new production of PERSUASION at Lamb's Players Theatre that begins previews on October 5, 2018. Both will be attending the opening on Friday, October 12, as well as joining the theater, its donors, and subscribers at a special, evening event on Sunday, October 14. 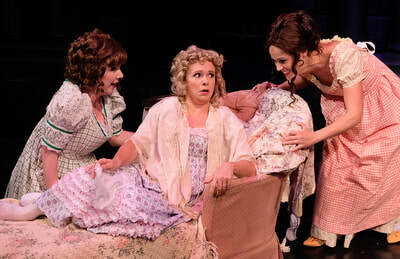 The cast and production team are amazing, the costumes are immaculate, and the location couldn't be more perfect. Please join us this autumn! 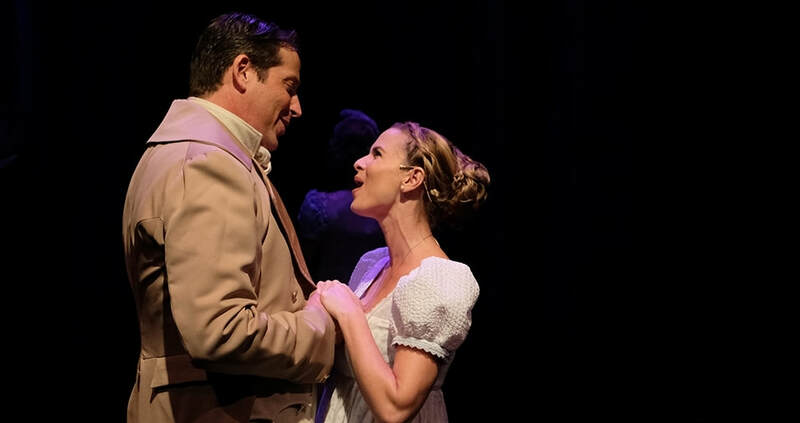 We're as excited as you are to see the California premiere of the Lamb's Players Theatre production of Persuasion: A New Musical! 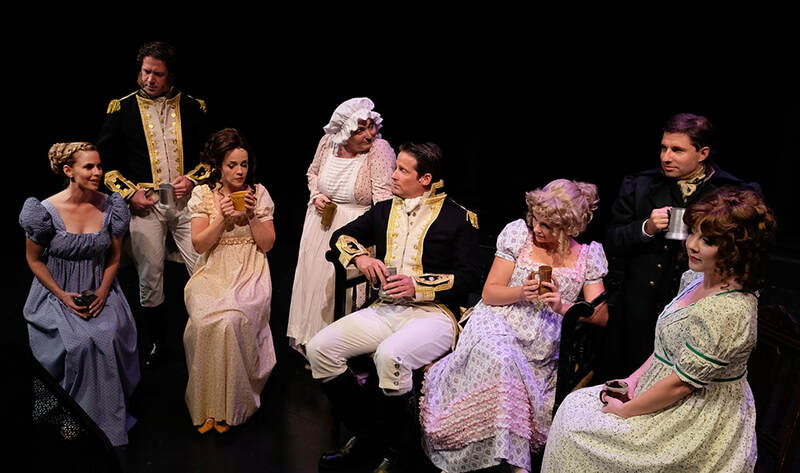 The cast features Allison Spratt Pearce as Anne Elliot and David S. Humphrey as Captain Wentworth, as well as Megan Carmitchel, Lauren King Thompson, Jordan Miller, John Rosen, Katie Sapper, Omri Schein, and Deborah Gilmore Smyth. 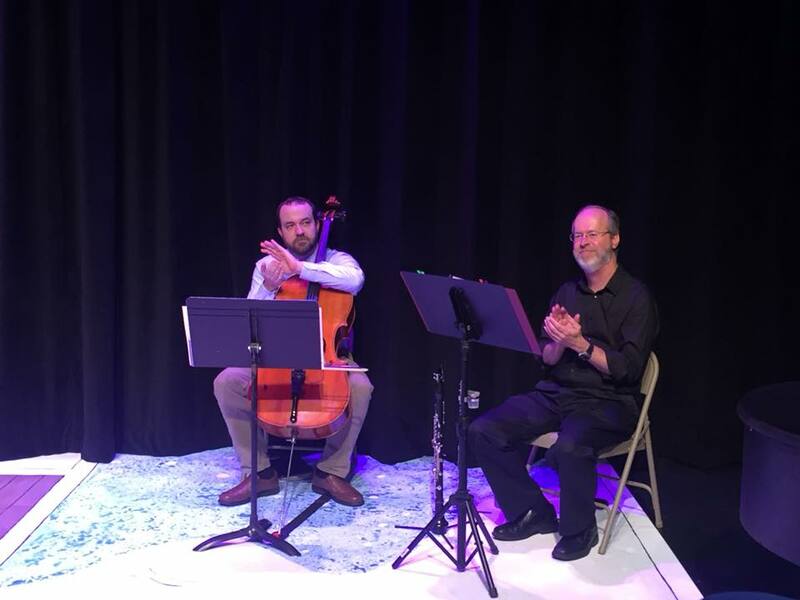 The band includes Diana Elledge (cello), Patrick Marion (keyboard and conductor), Rik Ogden (reeds), and Dave Rumley (percussion). The creative team includes Robert Smyth (Director), Mike Buckley (Set Designer), Rachel Hengst (Properties Master), Nathan Peirson (Light Designer), and Jeanne Reith (Costume Designer). 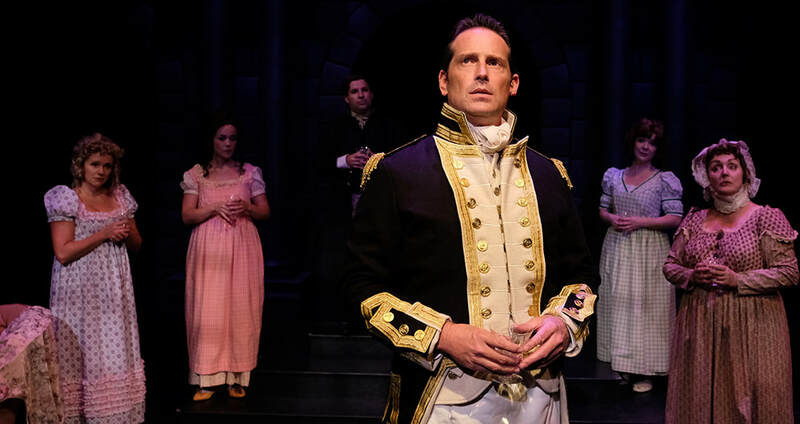 Persuasion will run 8-shows per week Tuesday through Sunday from October 5 to November 18, 2018. Get your tickets now!!! 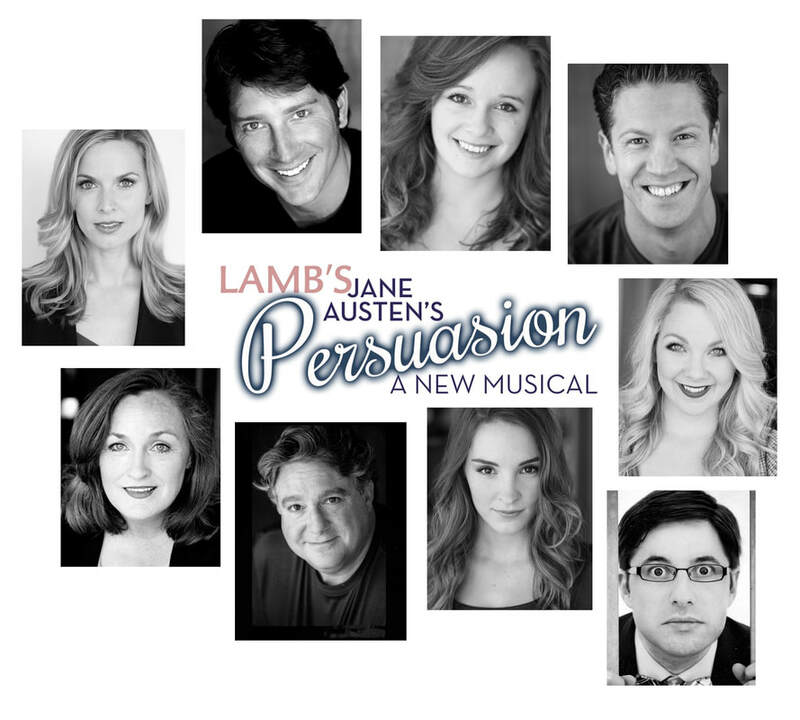 So the BIG, exciting news is that PERSUASION: A New Musical will have its California premiere at Lamb's Players Theatre in Coronado! 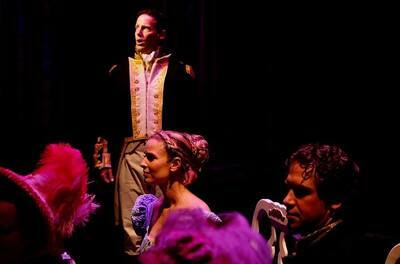 We are thrilled to be working with San Diego's third-largest theater company. Located in the heart of Coronado, just a short drive over the Bay Bridge from downtown San Diego, Lamb's Players Theatre is within walking distance of numerous shops and restaurants, the Coronado beach, and the historic Hotel del Coronado (where Billy Wilder filmed the entirety of Some Like It Hot, starring Marilyn Monroe, Tony Curtis, and Jack Lemmon). 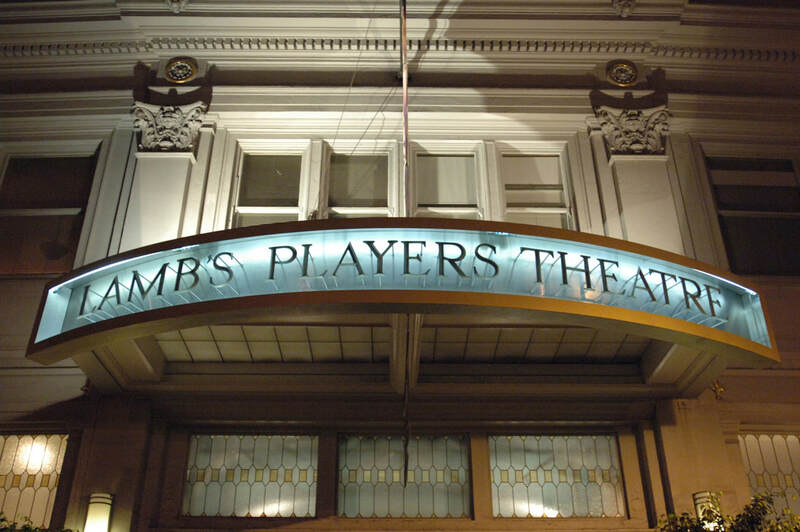 Founded in 1971, Lamb's Players is celebrating its 47th anniversary in 2018. 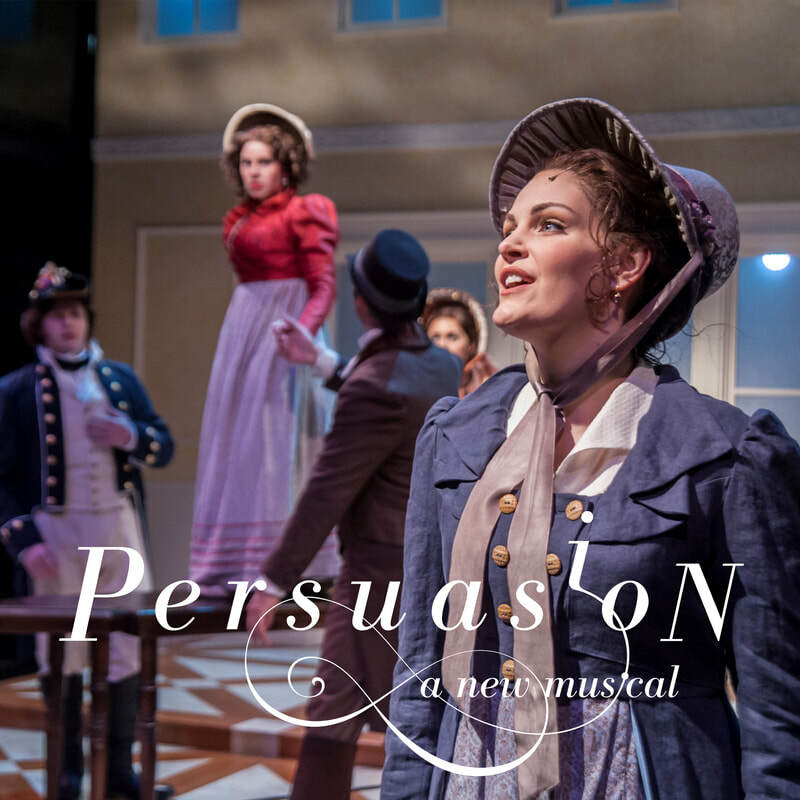 PERSUASION will be playing 8 shows per week, from Tuesday through Sunday, October 5 to November 18, 2018. Tickets are available now! 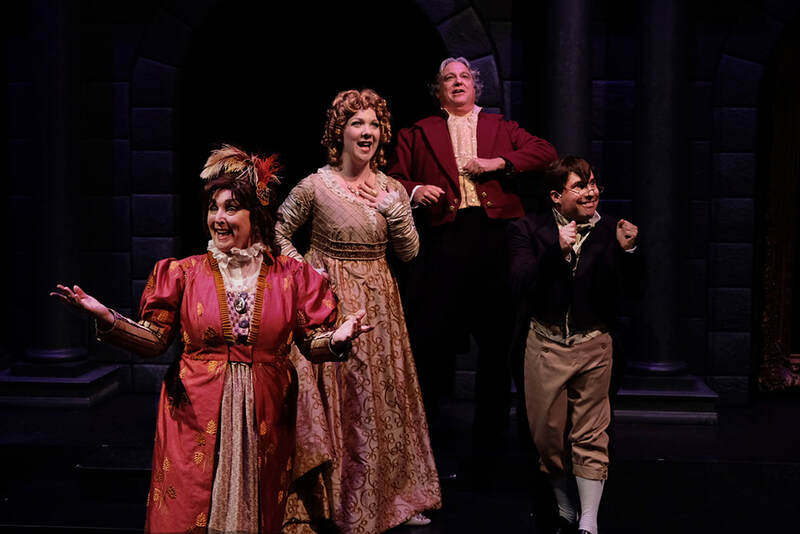 The Persuasion: A New Musical Original Cast Recording was funded in-part by Jack Straw Cultural Center's Artist Residency Program. We were lucky that the sound engineers from Jack Straw joined us for the release party. 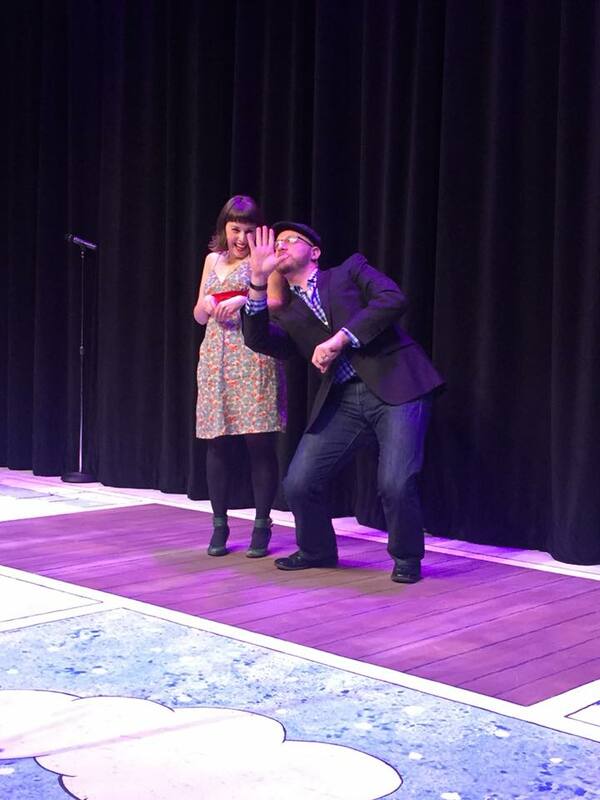 If you were unable to attend, you can hear a live recording of the music below. On another note, PERSUASION bookwriter Harold Taw's short story "The Ascent" was recently featured on The Other Stories Podcast. 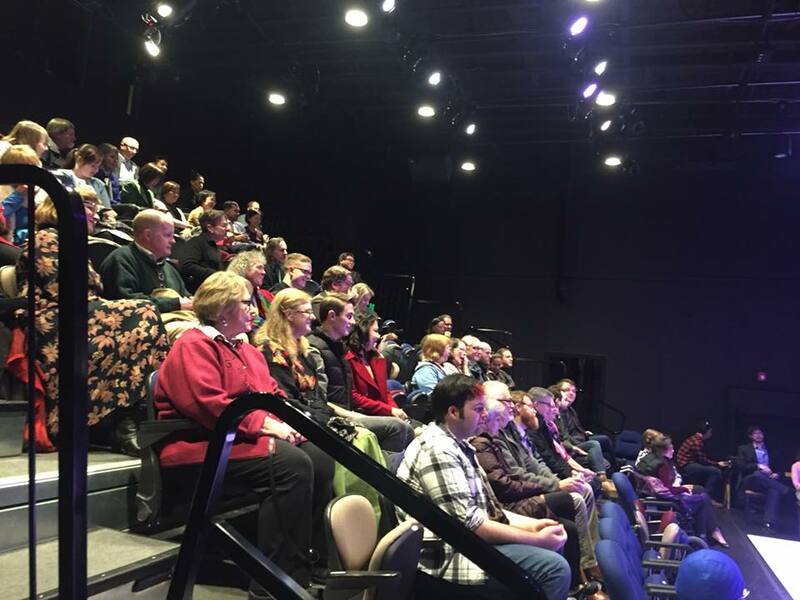 Originally published in Raven Chronicles to celebrate 20 years of the Jack Straw Writers Program, it's a story about two South Asian twins and the end of the world. 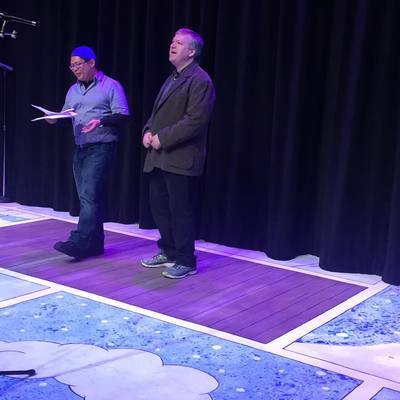 You can listen to Harold read "The Ascent" and also to his conversation about writing in multiple genres (including musicals) at The Other Stories. It was a fun-filled reunion of cast, production team, and audience for the Persuasion: A New Musical Original Cast Recording Release Party on December 4, 2017. 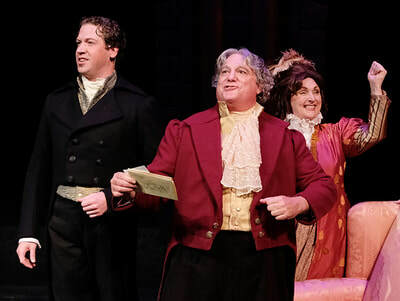 Mistress of Ceremonies was Kate Jaeger (Mary Musgrove, Second Gossip) and she welcomed remarks from Taproot's Artistic Director Scott Nolte and the writers of the musical adaptation of Jane Austen's Persuasion, Chris Jeffries (music and lyrics) and Harold Taw (book). 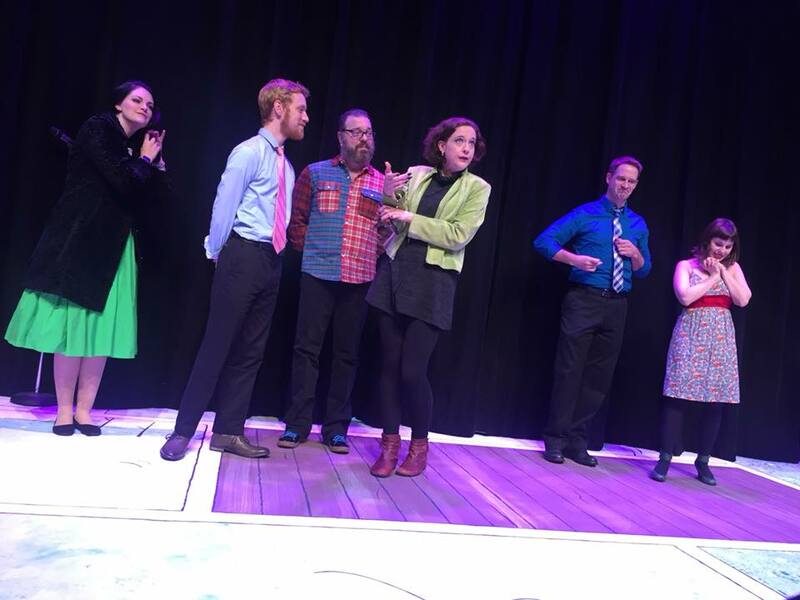 Best of all was the live performance by the cast members and musicians of four songs: "Only Anne," "Nut Song," "Pump Room," and "That's Home." 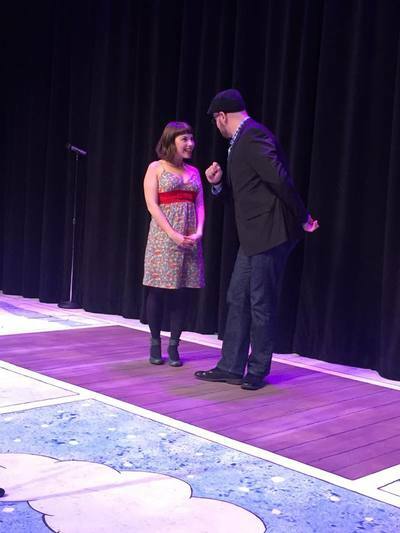 "That's Home" is featured by Jack Straw Cultural Center in its December 7, 2017 "Artist of the Week" podcast. 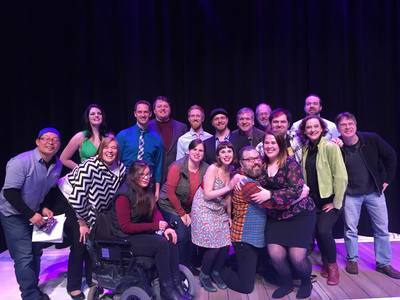 Thank you to co-presenters of the event Taproot Theatre Company and Jack Straw Cultural Center, as well as to everyone who came out to celebrate and buy CDs! 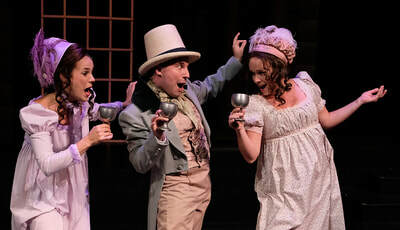 Remember, the Original Cast Recording is available to download/stream on iTunes, Amazon Music, Spotify, and everywhere you listen to music. Physical CDs are available at The Stage Door Cafe at Taproot Theatre Company, C & P Coffee Co., Easy Street Records, online at CD Baby, and through your local record store. 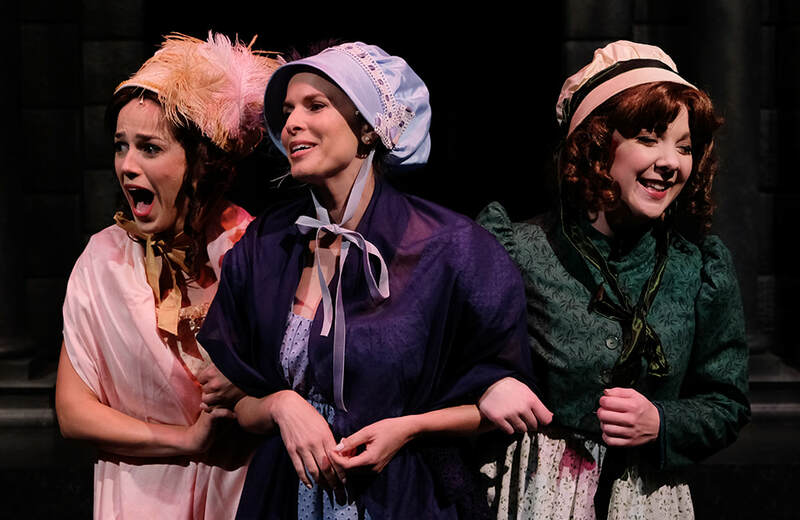 Persuasion: A New Musical at Taproot Theatre Company 2017, photo by Eric Stuhaug. 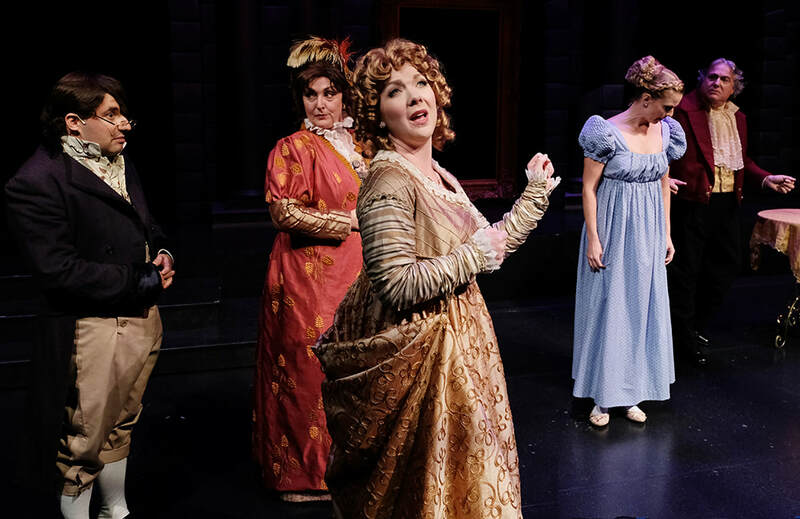 Come celebrate the release of Persuasion: A New Musical Original Cast Recording on Dec. 4, 2017, at Taproot Theatre Company's Isaac Studio, 204 NW 85th St, Seattle, WA. Handle all your holiday shopping at a single event: ​Persuasion ​CDs and download cards for everyone! 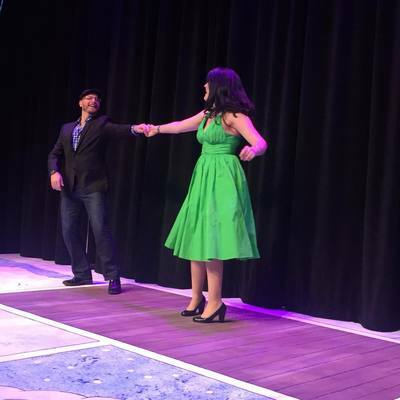 There will live performances and a chance to mingle with the cast, crew, and creatives while enjoying food, drink, and frivolity. Admission is FREE but please RSVP with this electronic invitation or by emailing the number of guests to persuasionmusical(at)gmail.com. The ​​album is available for download and streaming on CD Baby. It will be digitally released on iTunes, Pandora, and all your favorite music sites on Nov. 13, 2017. 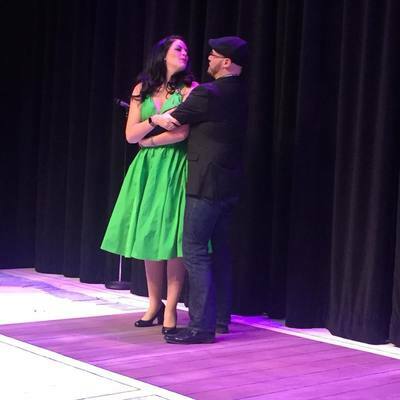 ​The physical CD will be released at the Dec. 4th release party and will be available to purchase throughout the holiday season at The Stage Door Café at Taproot Theatre, Easy Street Records, and anywhere CDs are sold. Cast member Nick DeSantis (Sir Walter/Captain Harville) was interviewed on Q13 Morning News about Persuasion ... and announced live that the show has been EXTENDED through August 26, 2017. Purchase tickets now because they're selling quickly. How quickly? 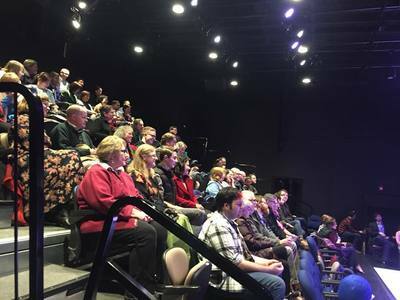 For the Pay What You Can (PWYC) performance on Wednesday, July 19, the tickets sold out within an hour and there were 16 people in standing room only. 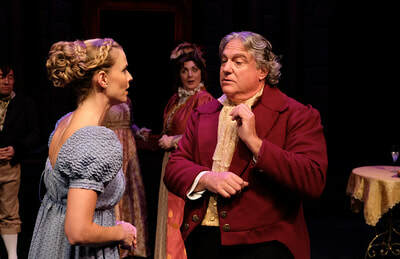 For more about Persuasion in the press, visit Taproot Theatre's website. Writer/blogger for Seattle Gay News Miryam Gordon attended an early dress rehearsal for Persuasion, then sat down with Chris and Harold to talk about how they created the musical world of the show: "​If You Love Jane Austen and Musicals Or Maybe Even Just Musicals, See What's Opening at Taproot!" Actress Caitlin Frances (Lady Russell, Mrs. Musgrove, Mrs. Harville) is featured in an interview with David-Edward Hughes in Seattle Gay Scene. 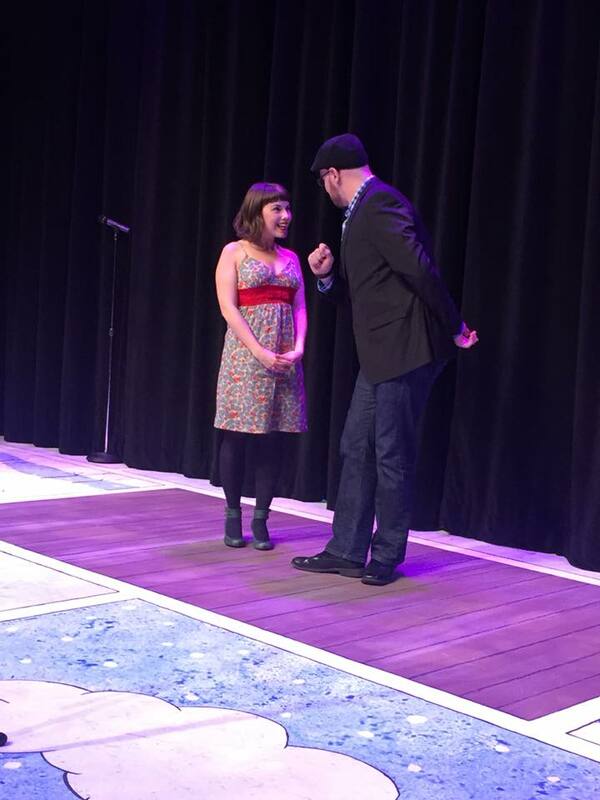 She talks about creating new musicals, balancing acting with family, and go-to curse words. 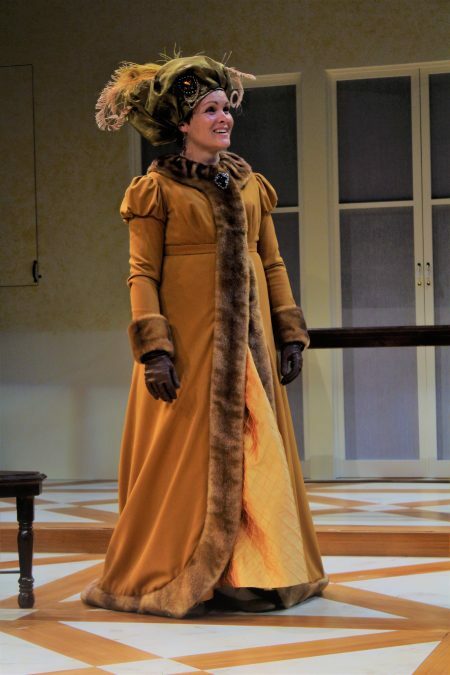 Check out that hat!